The major selling point of all Android One phones is that the devices will be updated to newer software versions alongside Google’s Pixel and Nexus lineups. This has been the case, at least in theory, but achieving this feat has remained a hard task for any of the participants in the Android One program. With the launch of the Moto X4 Android One phone, the search giant was able to convince buyers of the phone they’ll not only be able to enjoy the services of Google Project Fi on the handset, but they’ll also receive timely software updates. As it is, “timely” is relative, but at least, the Moto X4 is now getting the update to Android Oreo. It has taken weeks for this update to finally hit the Moto X4 Android One phone, but at last it’s here. Released in September, the phone came preinstalled with Android 7.1.1 Nougat, much to the disappointment of many Google Project Fi users, but the tech giant has at least lived up to its word, making the phone the first budget handset to be updated to Android Oreo OTA. The update installs software version OPW27.1 and weighs over 1GB, which is normal for a major OS upgrade. This is the first OS upgrade the Moto X4 Android One is getting and it’s not the last. At the time lf launching the phone, Google promised that it will also be updated to Android P on time. Keep in mind that there are two variants of the Moto X4 handset. There’s the Android One model that runs pure Android Nougat and then there’s another variant that uses Motorola’s software. 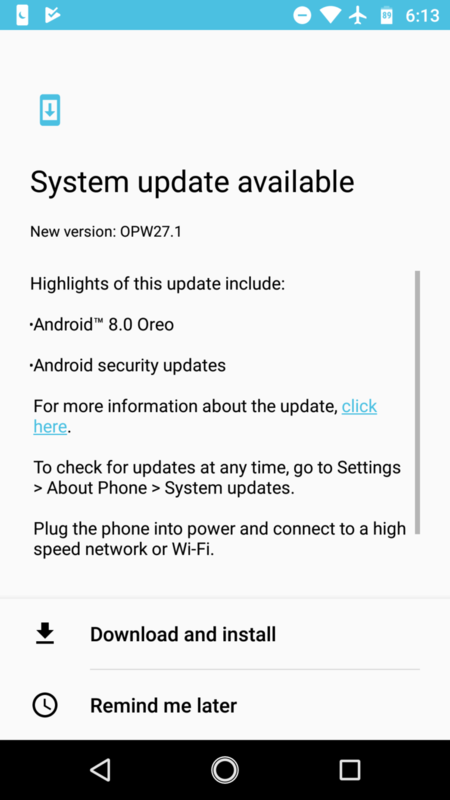 At the moment, it’s only the former that is receiving the update to Android Oreo, something that indeed highlights the importance of the Android One program. As for the Motorola version, we don’t know when it will be updated to Oreo, but even if takes months, the fact that the Oreo is now available to the Android One version is enough to confirm that the Motorola variant will also be updated to Oreo at some point in 2018.